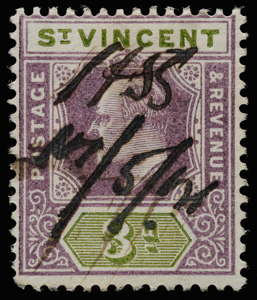 Within a tiny space, a stamp must establish national identity, indicate its value, contain usefully suggestive symbolism and needs high visual impact…without compromising the dignity of the issuing authority. The coconut definitive is an enduring transcultural masterpiece of graphic design in which Malayan elements were built into its fundamental structure, rather than conveniently inserted as scenery framed by a generic decorative template as was done in many stamp designs. As Holley (2010a) put it, the coconut definitive was "not made to milk collectors or just adorn albums", compared with more recent times of "blatant exploitation". Its woodcut quality exudes the old-world charm of traditional Malay woodcraft, and makes it look even more old-school than the 19th-century classics. It exploits the incisive detail and perceptual shade gradation of line art, yet retains the kampong simplicity and roughness—in fact, simpler than most of its highly embellished small-definitive contemporaries throughout the world. Gentleman (1972) thought letterpress was clumsy at such small scales, but I think it is a blessing in disguise. Indeed, it wouldn't have been out of place on the letters of rugged guerrillas prowling the jungles during the Malayan Emergency. It unifies nature and architecture in the coconut tree, striking a mesmerizing balance between rustic tranquility and imperial grandeur. The abstinence from superfluous embellishment liberates the raw beauty and harmony of rectangular and elliptical geometric forms that remain recognisable from a distance. Moreover, it stands out among the world's classic imperial portrait-centric stamps in incorporating scenic elements without sacrificing its air of administrative authority. Eminent stamp designer Eric Gill lambasted the British offerings of the early 20th century for what he saw as excessive ornamentation. 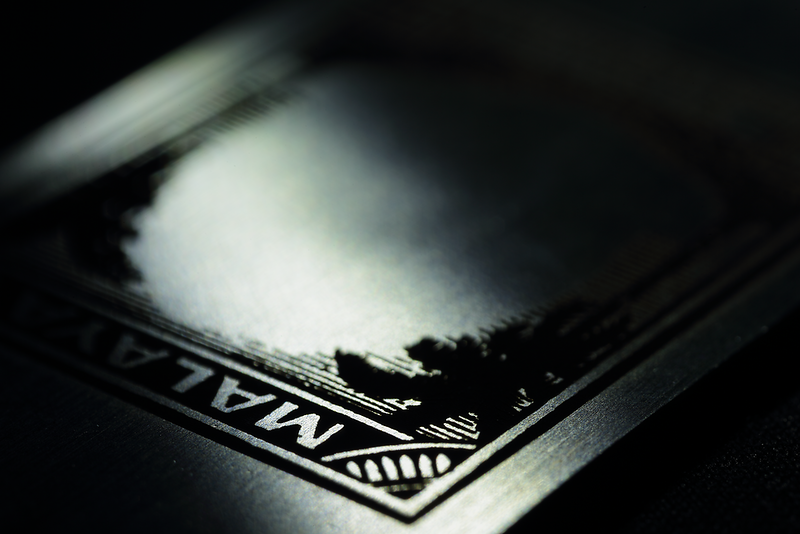 The ideal design in his mind was a purely functional one bearing only the denomination, the word "postage" and a mark of the stamp's origin, such as the monarch (Rosenblum 1999a). Meanwhile his equally eminent nemesis Edmund Dulac criticized the controversial Edward VIII issue for looking as though it had not been designed at all. To Dulac, a stamp should advertise its country to the world. Mackay (1997) detailed the controversy. As for the coconut design, I daresay it would placate both Gill and Dulac. The coconut design is so iconic that it has been reproduced and adapted several times. From the 1930s to 1978 (Chris Wong comm. ; National Library Singapore), savings cards each printed with a different stamp design were produced for students. One of them was illustrated with a modification of the Singapore 10¢ coconut definitive, showing three students standing in the vignette holding a sign saying success | security | sufficiency. Students had to buy and stick 10¢ stamps on the reverse, which was printed with blank boxes. Once complete they could hand it over to the bank as a form of deposit. 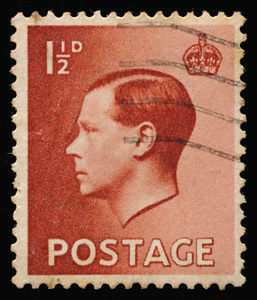 The coconut design has also been reproduced "verbatim" on commemorative stamps, although the image was made up by small printed dots rather than incisive letterpressed edges. The design has been adapted for invitation cards on which the handcut typefaces were substituted with computer fonts. 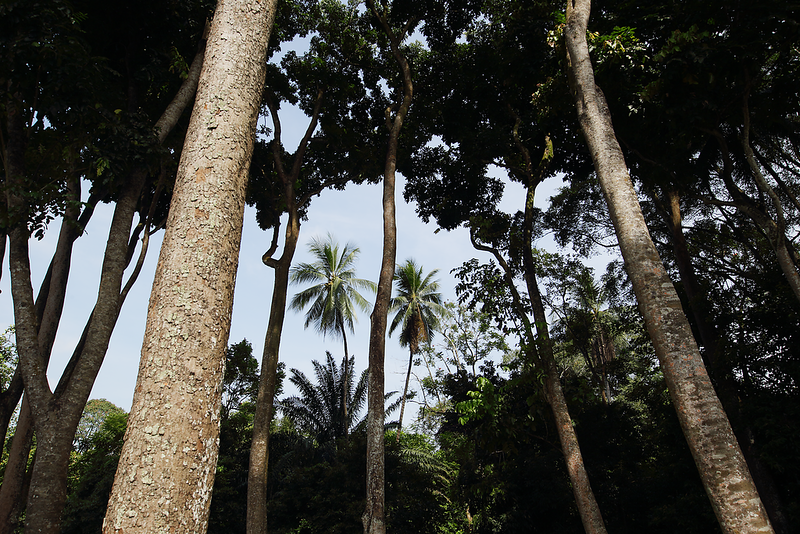 It has even been digitally redrawn with raster gradients and pictorial vignettes for a recent issue, but the coconut trees were reduced to spindly saplings that drastically reduced the design's structural integrity. Times had changed by the twilight years of the coconut definitive. People were developing a taste for more pictorial designs (Stanway 2009). The world was becoming increasingly mechanized, and popular culture was taking hold. The 1960s saw a philatelic "industrial revolution" with the photogravure technique, a fundamentally different kind of printing with multiple colours. 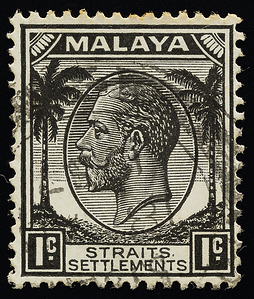 In 1956, a Mr Tay Chee Siong from Johore Bahru wrote to The Straits Times imploring the authorities to introduce new pictorial stamps to "sell Malaya to tourists". He said the coconut definitives were "the most uninteresting and unimaginative. 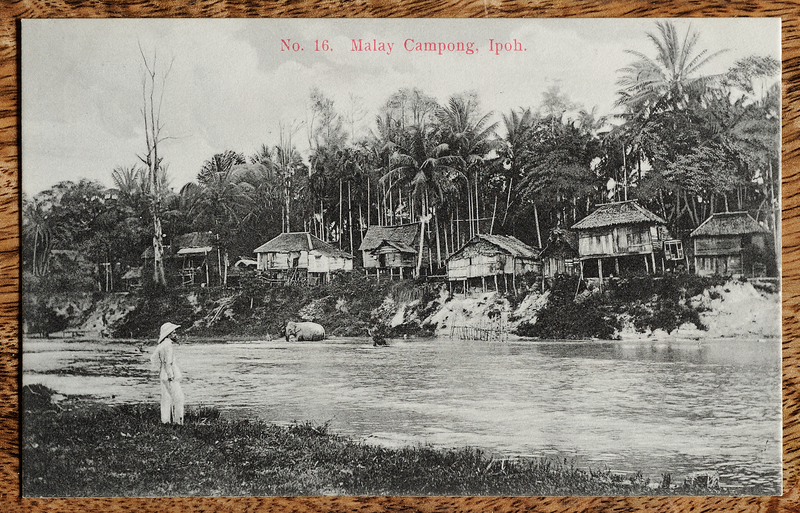 The design is stereotyped, inappropriate and misleading…" He feared that foreigners might think that Malaya was "a country of swaying coconut palms". 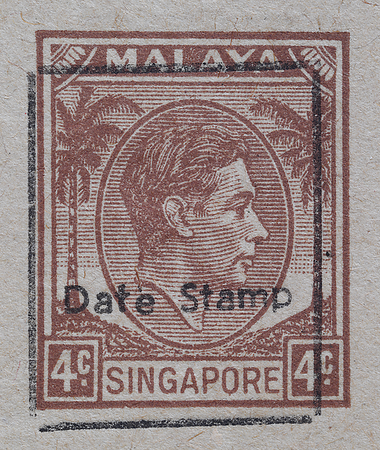 Great stamps die hard (pun intended), however; the coconut definitives of Johore were still being printed as late as 1958, and a 1959 order was cancelled only because Sultan Ibrahim died (Stanway 2009). The last coconut definitives were finally invalidated on 1 November 1966 (Stanway 2009), nine years after independence and a year after Singapore separated from Malaysia. But it wasn't all over yet. The coconut definitive was given one final overprint, an almost forlorn “date stamp” in loosely typeset letters with a rickety makeshift frame, as it entered its death throes. The perforated adhesives were already gone, but the coconut definitive held out for a while longer on surplus postal stationery cards repurposed for official use. These cards were used to remind addressees to collect their parcels, or to send messages between postal departments and headquarters, or for other purposes. Coconut cards were recorded passing through the post as late as 1967 (Cheah 1977). The mystery is what purpose the overprint served, when an obliteration of the invalidated stamp seems more appropriate as was done using thick black bars in other batches of cards. Could it have been a tongue-in-cheek substitute for an actual date stamp? The Universal Coconut Duty Plate was a classic but remarkably future-proof design that had seen Malaya through some of the most tumultuous chapters in its history. Its diversity and longevity was choreographed by no mastermind. superb design and a little luck that gave it resilience and adaptability in the face of adversity and the tides of change. It was truly a stamp that took Malaya by storm.